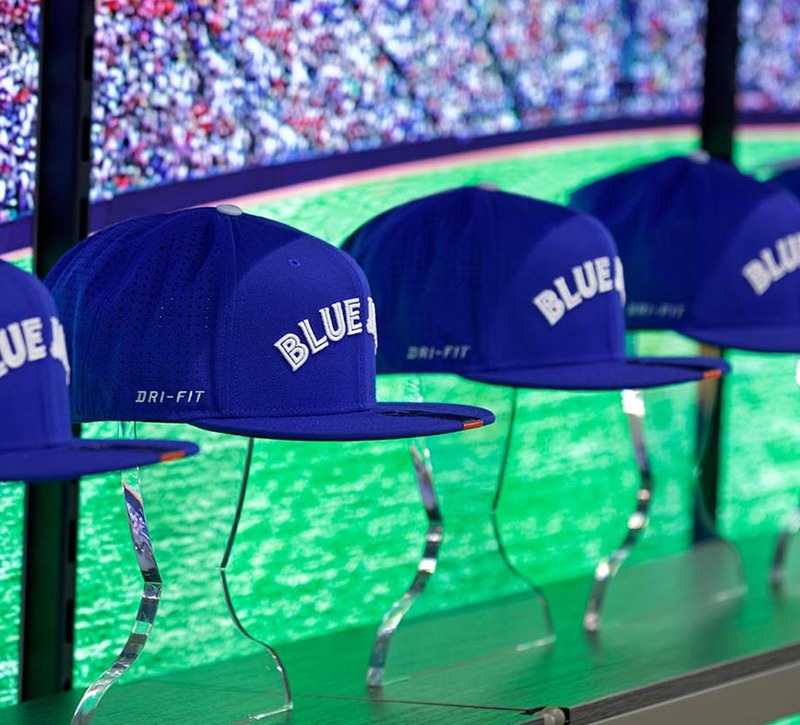 Shikatani Lacroix partnered with the Toronto Blue Jays to increase the affinity for the brand while providing greater community involvement. 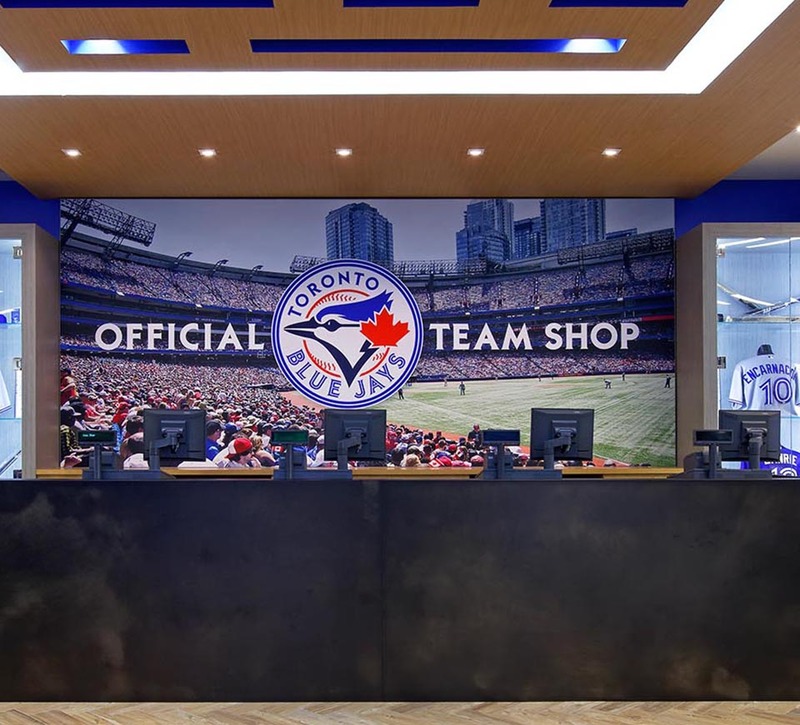 The initial assignment consisted of launching a satellite Jays Shop at Eaton Centre Sears to capitalize on the heavy shopping traffic and strong tourism. 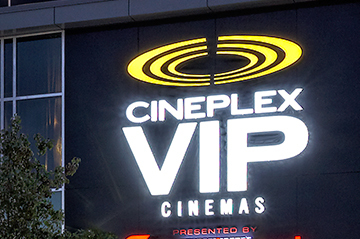 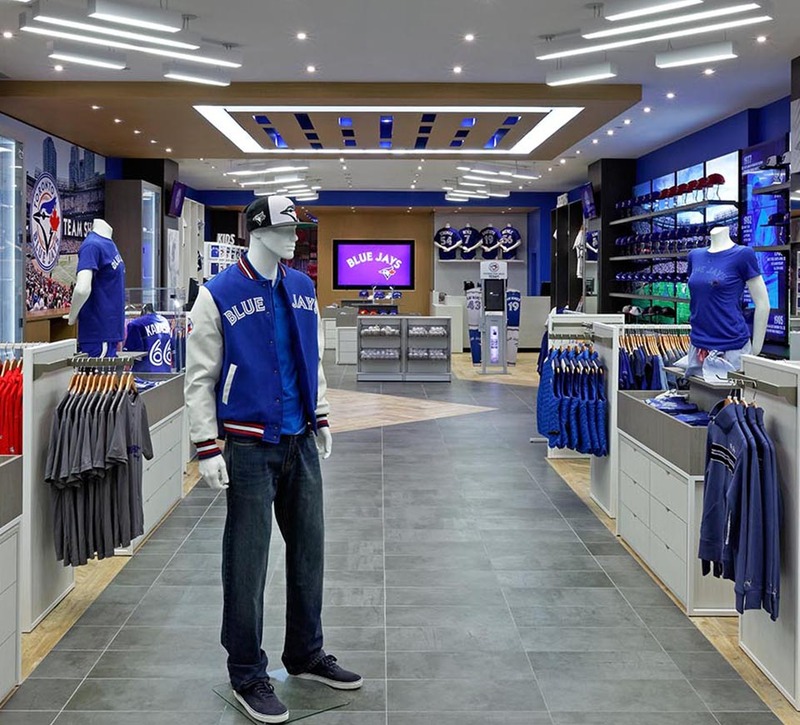 Following the success of the first store, Shikatani Lacroix was commissioned in 2007 to develop a 10,000-square-foot flagship store at Rogers Centre that would allow the organization to capitalize on selling Major League Baseball merchandise. 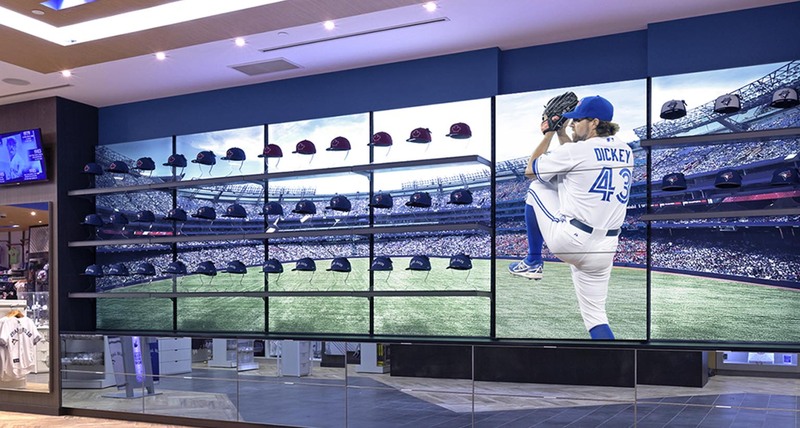 Shikatani Lacroix was asked in 2010 to create a multimedia season ticket recognition wall at Rogers Centre. 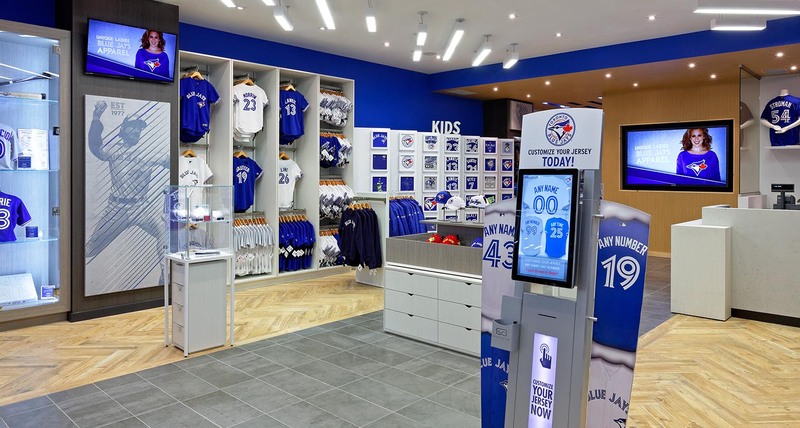 In 2011, Shikatani Lacroix was engaged as a design partner to build various community spaces to showcase the Jays Care Foundation and its community involvement in support of sick and underprivileged children. 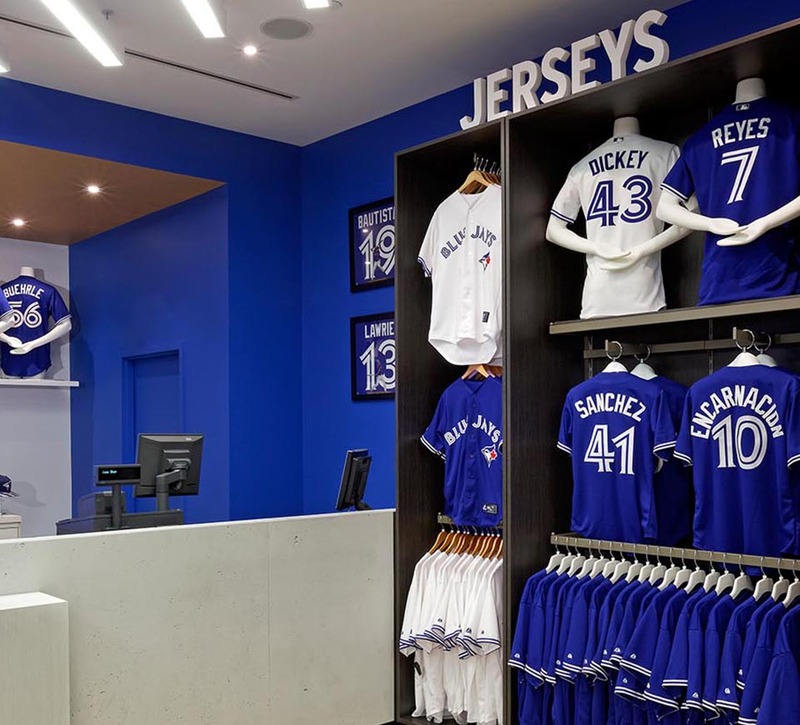 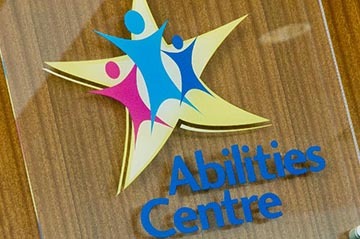 Spaces include the Jays Care Community Clubhouse located in a former VIP suite at Rogers Centre, and a number of YMCA and Boys & Girls Clubs province wide. 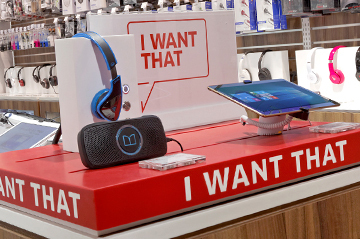 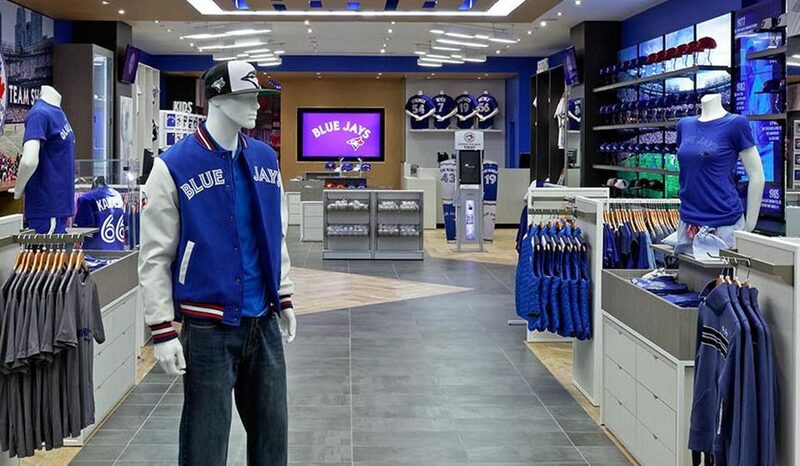 In 2014, Shikatani Lacroix designed the brand new standalone flagship Jays Shop in CF Toronto Eaton Centre. 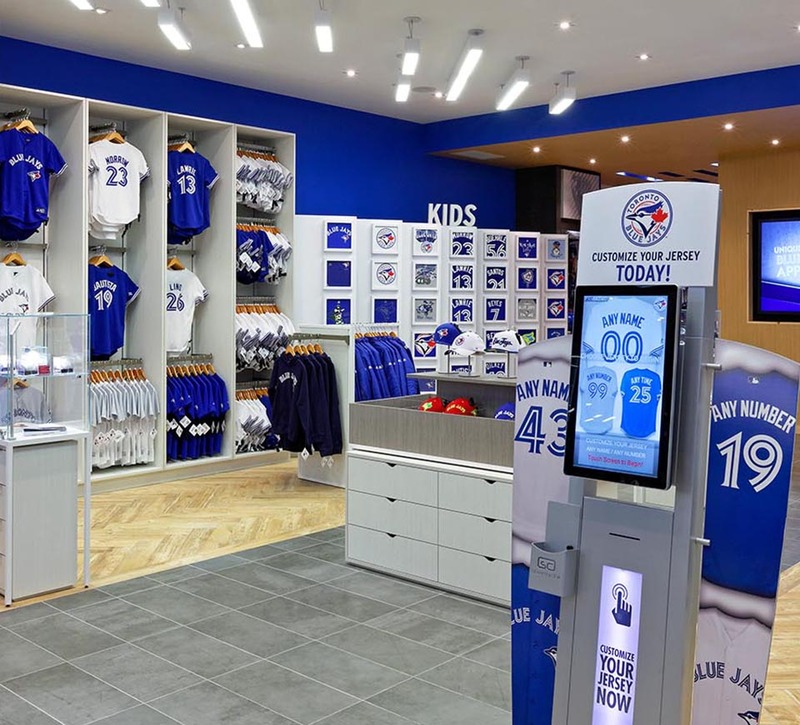 The 1994 Major League Baseball strike had eroded fan loyalty and the Toronto Blue Jays struggled to regain the energy from its back-to-back World Series wins in 1992 and 1993 and the excitement of its younger glory years in the mid to late ’80s. 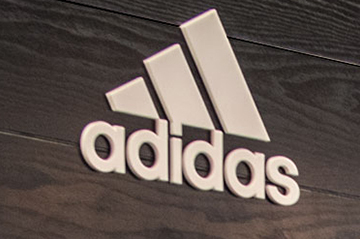 The lack of momentum undermined the organization’s ability to invest in new programs. 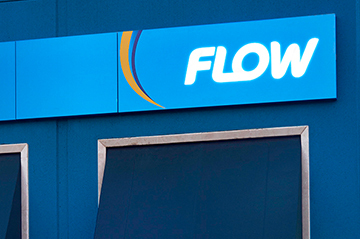 It wasn’t until Rogers Communications’ purchase of the team did a sense of opportunity and excitement emerge. 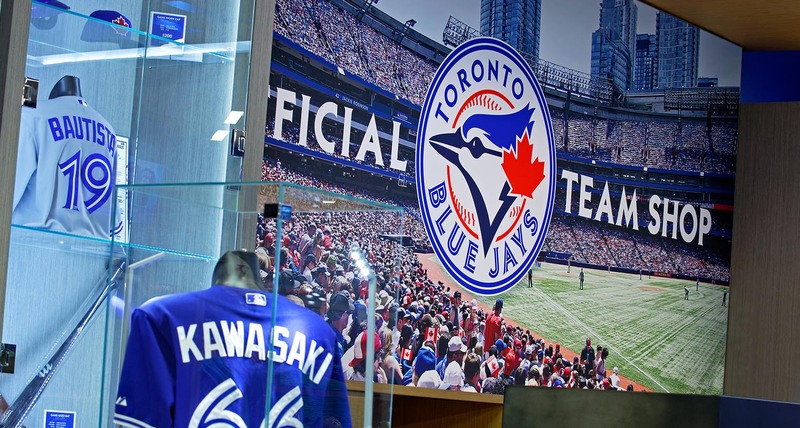 During the same period, MLB moved the Expos to Washington, D.C., and renamed them the Nationals, leaving the Toronto Blue Jays as the only baseball team in Canada. 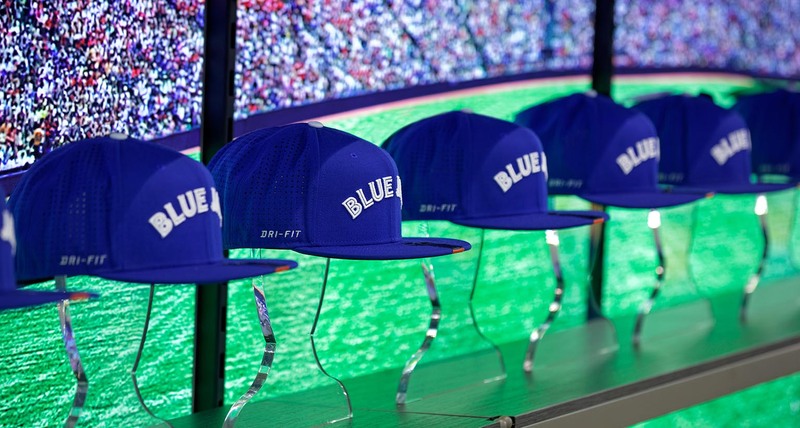 Although Shikatani Lacroix managed a wide range of branded experience assignments for the Toronto Blue Jays, there was an overarching set of objectives that was consistent across each, namely: reinforce the leadership position and Canadian equities linked to the Toronto Blue Jays; create branded experiences that celebrate the history of the team and its contribution to MLB, and support a platform that drives incremental sales and revenues throughout the year. 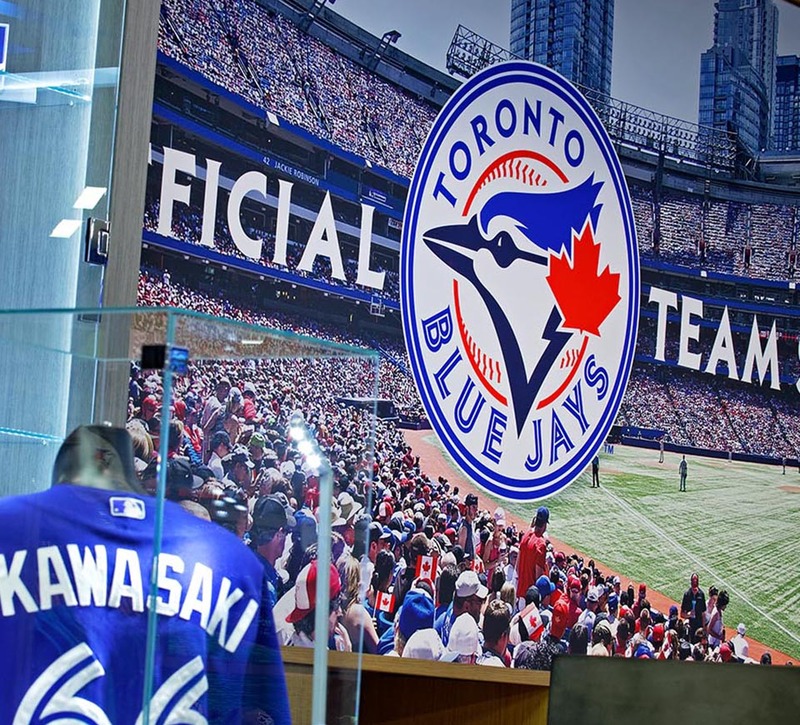 The experience also needed to communicate the patriotic message of the Toronto Blue Jays as Canada’s only baseball club. 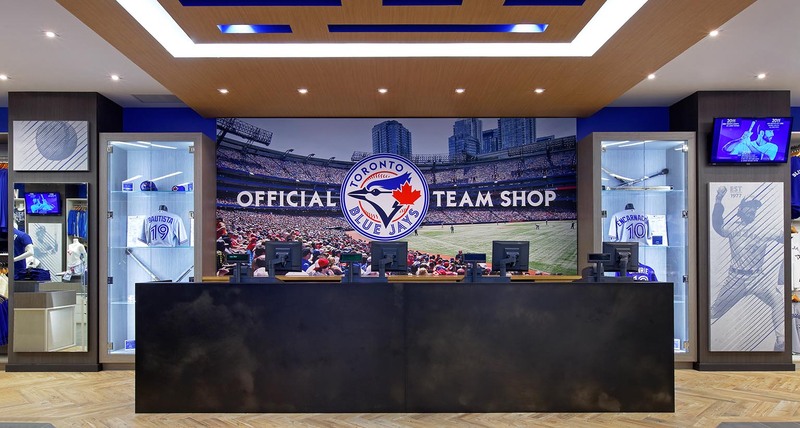 In addition to offering authentic team merchandise, official memorabilia and latest fashion apparel, the flagship store features innovative and indelible digital design solutions. 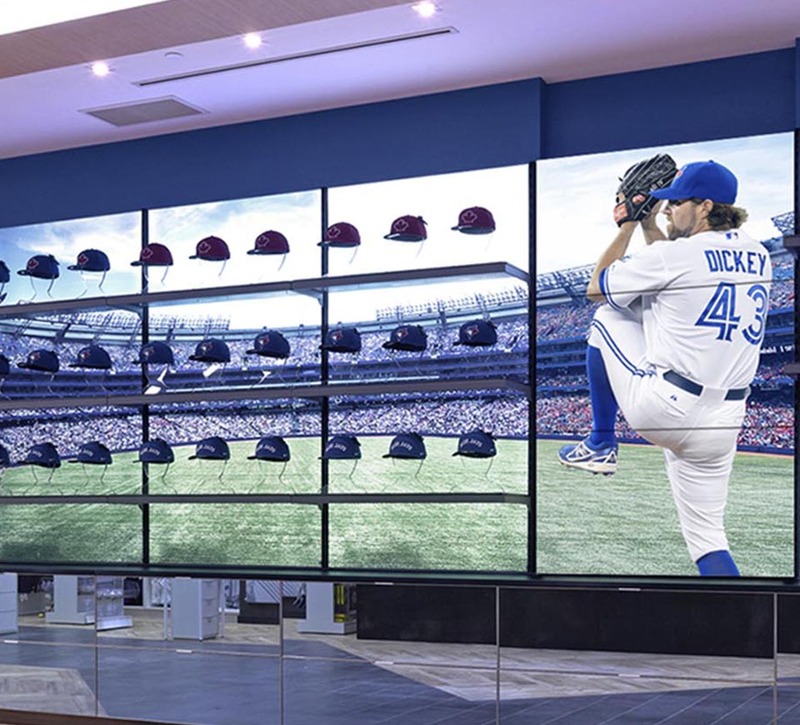 Guests are greeted with a dynamic and eye-catching digital entranceway and are then led through the store on an interactive journey including an animated hat wall and expansive digital signage. 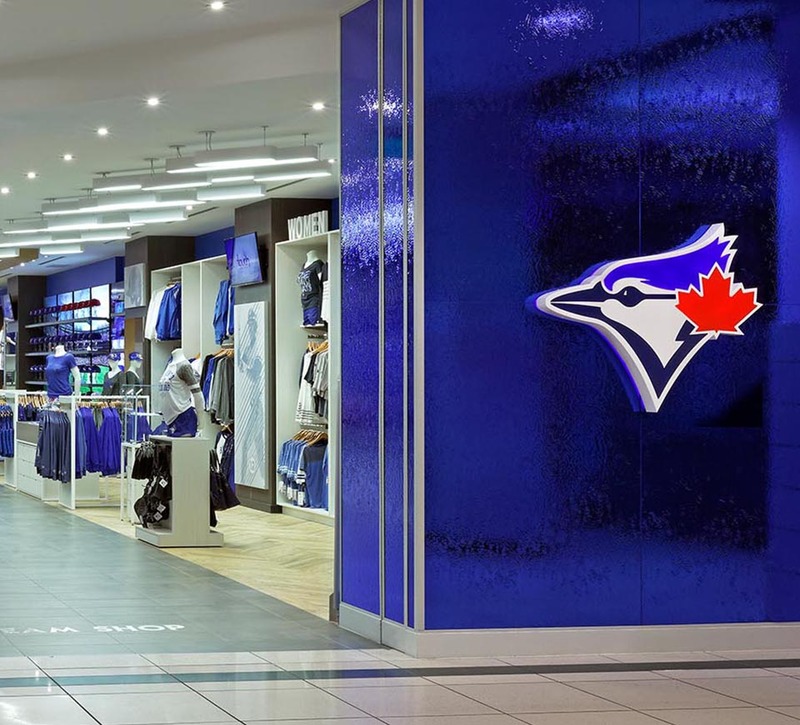 Blue Jays fans have another win to celebrate with the opening of the brand new flagship Jays Shop in Toronto’s Eaton Centre the summer of 2014. 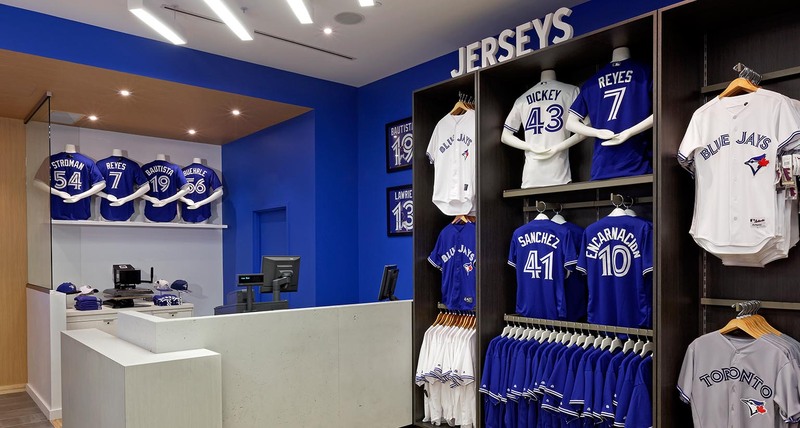 This store replaced the original store Shikatani Lacroix had designed in the Sears main level located by the North Entrance. 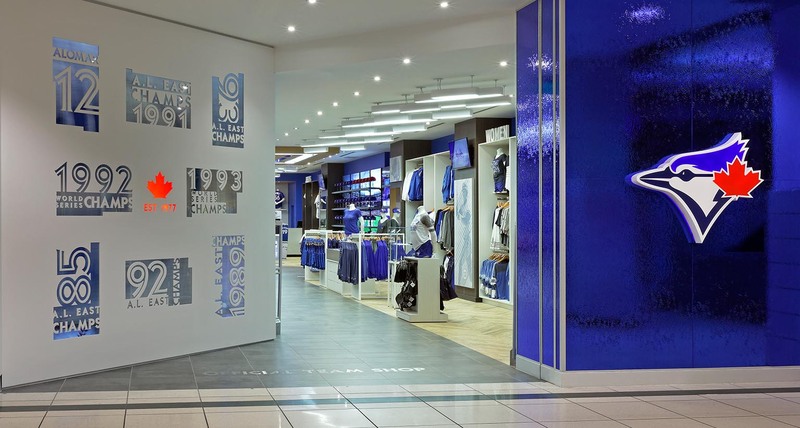 The original location had gained great success, exceeding all sales targets, irrespective of the team’s success on the field. 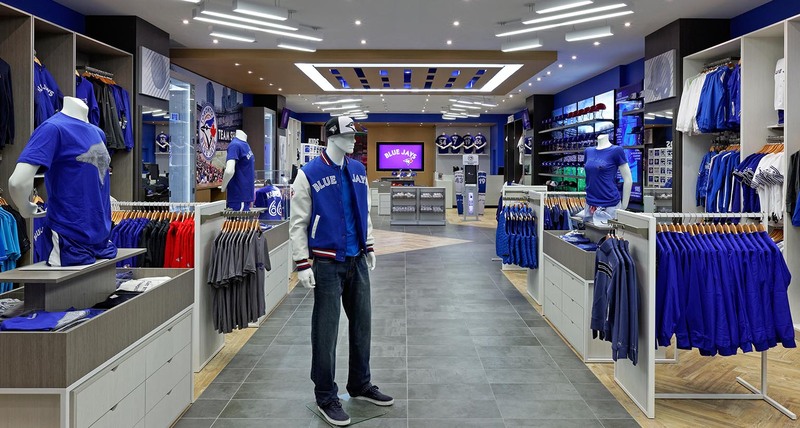 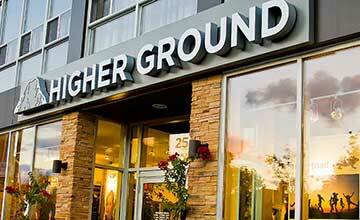 The flagship store features innovative and indelible digital design solutions. 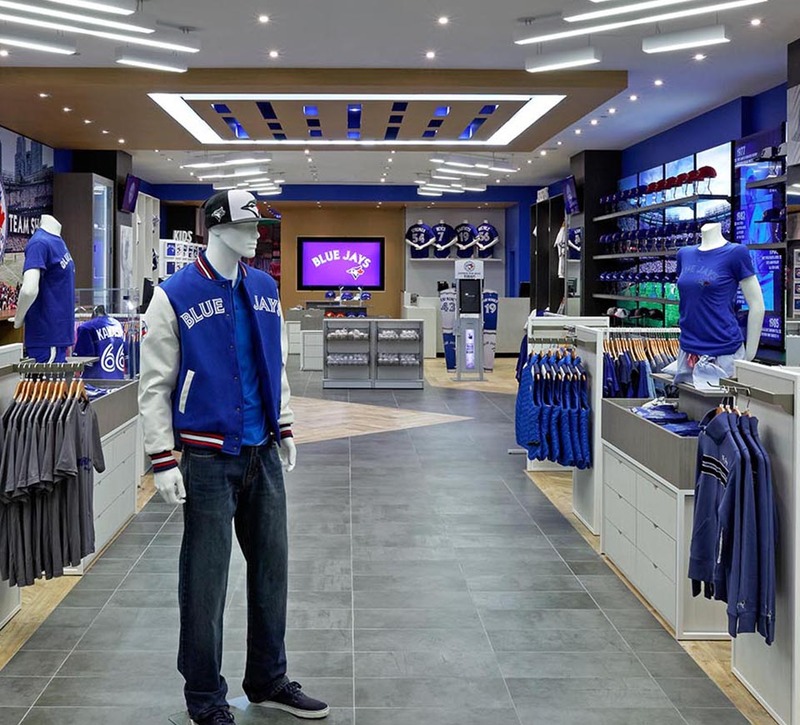 Guests are greeted with a dynamic and eye-catching digital entranceway and are then led through the store on an interactive journey including an animated hat wall and expansive digital signage.